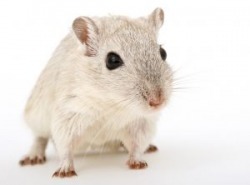 I realize that gerbils are rodents. But hey, they are cute. And that's how this whole gerbil thing got started. While talking on the phone one evening (The Girlfriend was at work, I was probably reading or doing something nerdy) she said "You're adorable," in response to something I'd said. (Probably about missing her terribly...or something.) My ears/brain translated that as "You're a Gerbil." Which...of course...is adorable. Okay, so I'm not really a rodent. I'm a 25 year old almost-counselor, mother of two (four if you count the cats) and a lesbian. (I also fancy myself a writer, if you hadn't noticed.) Right now, we're both in college--The Girlfriend is working on her Bachelor's in Mathematics Education, and I'm working on my Master's in Counseling. Outside of that, we have jobs (and bills! ), a great group of (weird, and mostly gay) friends. Rant? Rave? Here you go.